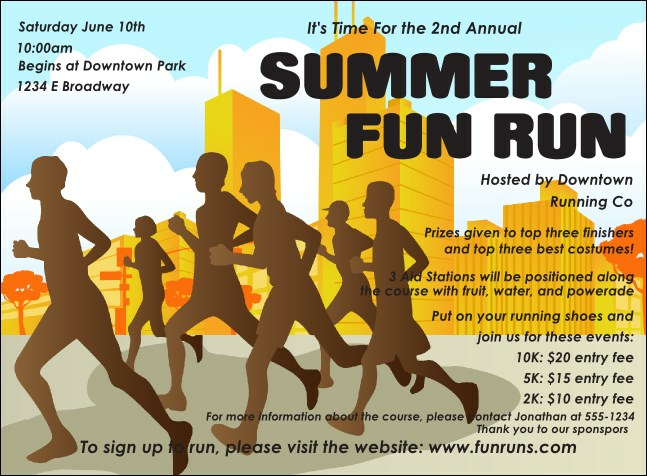 Invite sprinters, marathoners, and casual joggers with the healthy Fun Run Invitation. Gold buildings stand behind silhouetted racers, all under a bright blue sky. Fill in twenty-one lines of event details in the easy template below and we'll ship them your way fast! RSVP to a healthy community with the right invitation from TicketPrinting.com.